This is a rectangular Fire Insurance Company of Canada porcelain sign. This particular Fire Insurance Company of Canada sign is predominantly white with red and white text. 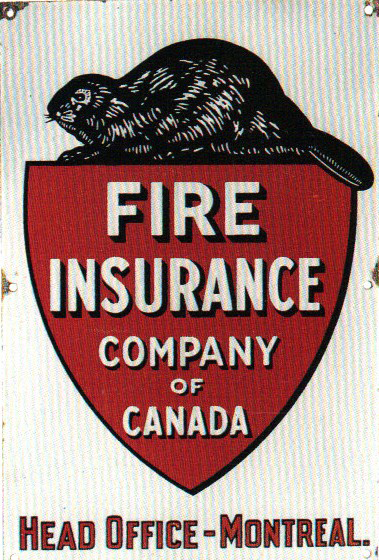 It reads, “Fire Insurance Company of Canada, Head Office – Montreal” and features a black beaver sitting on top of a red shield.